OMAHA, Neb. — Questions abound in the current land market. Will the negative farm financial situation finally overcome other factors to drive land prices the final leg lower? Will outside influences put more stress on land values or actually support prices? Will regional pockets of stress spill over into the overall land market? Farm and ranch land is the key financial bedrock for American agriculture as land makes up 82 percent of total assets for the industry. With today's uncertainties in agriculture, everyone involved with owning, buying or selling ag land is holding their breath to see what will happen next with the market and prices. "At Farmers National Company, we are seeing an uptick in our land sales as more families and inheritors want to sell now," said Randy Dickhut, senior vice president of real estate operations. "Within our 28-state service area, we are also seeing more landowners coming to us to market and sell their land as evidenced by our volume of land for sale increasing 21 percent. These landowners are just deciding now is the time to sell and capture today's price." "Even though the rate of bankruptcies and forced land sales is low, there is the expectation that numbers will increase somewhat in the year ahead as farmers' cash flows are stressed. There is also an increase of quiet sales to neighbors or investors where the land is never exposed to the market to see what the true price is. The ultimate question here is how many more properties for sale can the market handle before the volume overwhelms the number of buyers and puts downward pressure on land prices?" Dickhut said. There are regional differences showing up in today's land market that will have a bearing on prices. Dairy producers in Wisconsin, New York and other states have been experiencing low milk prices for some time and those areas are now seeing an increase in retirement sales involving land and assets. Other regions did not experience the record crop yields in 2018 that other areas did, which adds to producers' financial stress and results in additional land for sale entering the market. "The overriding question in the land market is about supply and demand. At this time, there are enough buyers at most sales to bid up the price to a good level for the seller. But as we move ahead over the coming months, will buyers become even more cautious than they are now while at the same time will we see more land come up for sale for various reasons? All of this is why those involved in the land market, from owner to lender, are holding their breath to see what comes over the next year," Dickhut concluded. 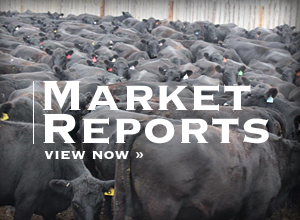 • Nebraska, Kansas, Oklahoma and Texas: Auction activity has been typical in the region reports Paul Schadegg, area sales manager. "Farmers National Company has its normal number of auctions across the different states and has added new activity in Oklahoma. Sales prices were good, but definitely under a little more pressure this past year in some locations," Schadegg said. "There are many ranches throughout the west and these normally don't sell at auction. 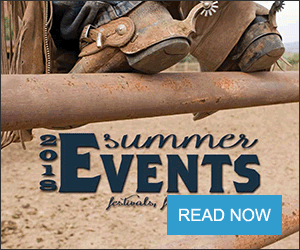 Selling a ranch is a little different than selling a farm as there are fewer buyers interested in the ranch whereas there a quite a few interested buyers for each farm that comes up for sale," Schadegg said. "The uncertainty of commodity markets, pending government and global issues, and the expected rise in interest rates are challenging agriculture right now. We may see stable to slightly lower land prices over the next six months depending on what happens with any or all of the factors affecting ag. It becomes more important than ever to have an experienced company like Farmers National Company to market and sell land during times like this," he said. • North Dakota, South Dakota and Minnesota: Brian Mohr, area sales manager for Farmers National Company, said he is seeing increased land sale activity in the three states he covers. "We are getting more calls about selling land and are handling more sales. Activity has definitely picked up from a few months ago," Mohr said. "Farmers National Company auction sales have increased in the region as sellers are considering the public auction method to sell their farm or ranch. We are doing auctions in areas that we have not been before. People are attending one of our auctions and seeing how well we do before giving us a call to do their auction," Mohr noted. "Selling a ranch is a little different than selling a farm as there are fewer buyers interested in the ranch whereas there a quite a few interested buyers for each farm that comes up for sale," he said.